Codemasters released the first major update for DiRT Rally today. The update brings several fixes and improvements to the Steam Early Access racer and at no extra cost adds the Pikes Peak Pack. 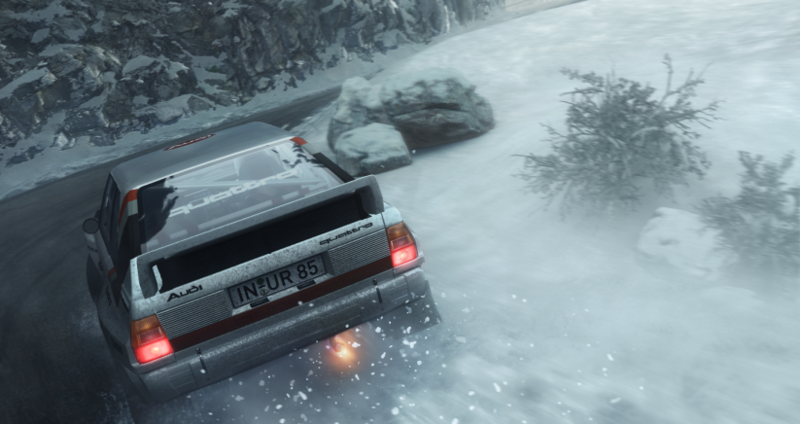 New – Hillclimb car class featuring the Peugeot 405 T16 Pikes Peak, the Peugeot 205 T16 Pikes Peak and the Audi Sport Quattro S1 Pikes Peak. New – 13 new achievements for all you unlock and rub in your friends faces. Fix – If you’re using a H-Pattern with clutch setup, the game no longer shifts to neutral when contact with your kit is lost. Fix – Ever been caught in an infinite loop of disconnects and reconnects at the end of an online event? Yeah, we fixed that. Car update – The Lancia Fulvia HF now features the Lancia livery.